This was such a fun read, as are all Alice Clayton books. We are back in New York where Clara is brought in to completely update a luxury resort. She is very much looking forward to making the hotel really shine when her almost boss, Archie, is not happy about all the changes to come. The two are definitely at odds with each other but have an undeniable attraction going on. Perfect set up for an amazing story! I loved this book! It has been my favorite book so far in the Hudson Valley series. Which is saying a lot because I really loved the other books also. 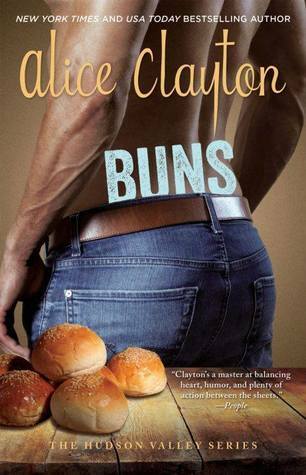 Seriously Alice Clayton can do no wrong, I always enjoy every single one of her books. I love Clara and Archie! Clara is an amazing woman. She is strong, talented, smart, and beautiful! The total package! I want to be her when I grow up. Archie is set in his ways and traditions. He's so stubborn that he reminds me of my husband. I laughed out loud many times reading this book and seeing the banter between the two characters. I am rating this book 4.5 stars because it was such a fun, romantic, story. It kept me entertained the entire time and that's hard to do with my ADD. I highly recommend this book and all of Alice Clayton's books!